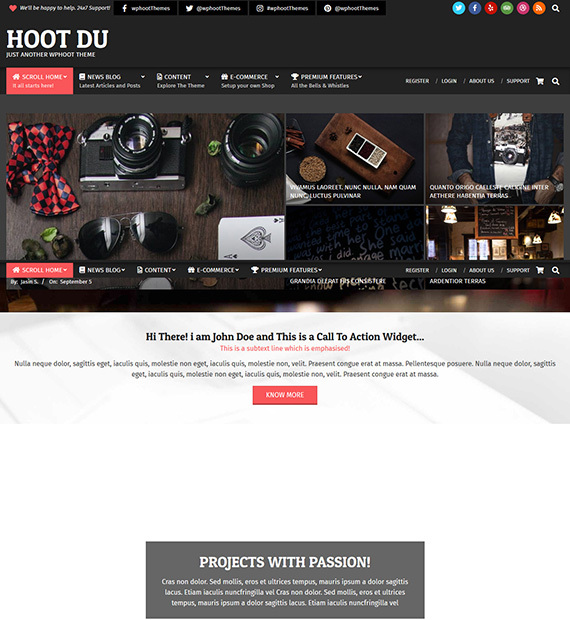 Hoot Du is a free WordPress theme that can give your site a bold and dark look. With this multipurpose theme, you can create amazing magazine sites, personal blogs, business sites, online stores, photography sites, and much more. Not just that, your website will also be SEO optimized, highly responsive, as well as lightning fast. Furthermore, Hoot Du has also been tested to work with lot of useful plugins including Yoast SEO, Contact Form 7, Jetpack, and more.